Waterman's Restaurant is a destination restaurant in Rock Hall, MD, and adjacent to the restaurant is Blue Crab Chesapeake Charters, offering Award Winning Private Day and Sunset Sailing Cruises. The original painting is currently available for purchase. Contact the artist for more information. Limited edition prints and notecards are also available. 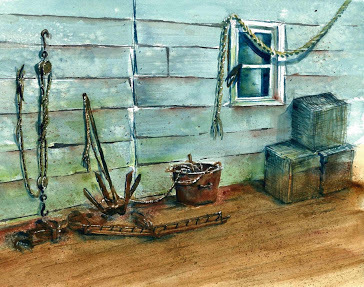 Waterman's Tools was painted by the artist in the summer of 2010, shortly after Diane became familiar with Rock Hall, Maryland. 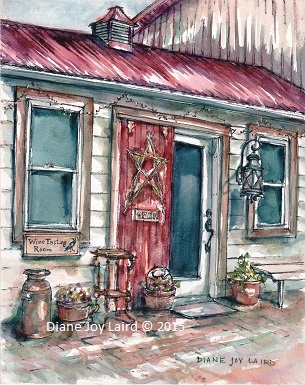 It depicts the rear of the Waterman's Museum. The original painting is 11" x 14" and is available for sale. Please contact the artist directly for more information. 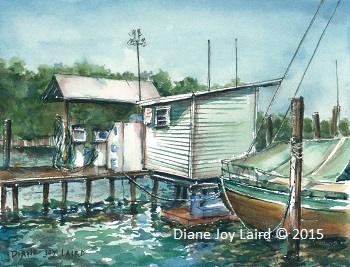 Limited edition prints and notecards are also available. 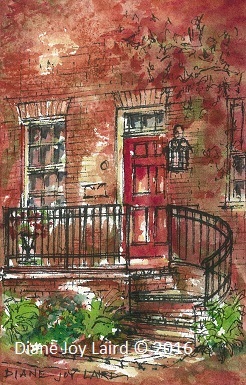 A brick residence on Cannon Street in Chestertown with a welcoming red door and spiral stair... begged the title "Welcome Home". Crow Farm & Vineyard offer authentic, quality in their farmstay B & B, grassfed beef, and Maryland wines. Consider prints or notecards of this image as a gift for a fellow wine-lover!. 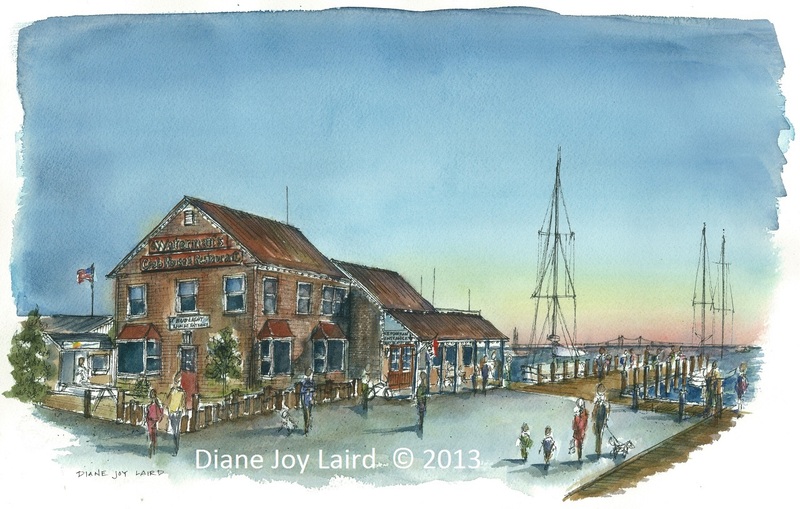 "Working Man's Pier" is located behind the Charles Street Brasserie in Solomon's Island and was painted in September 2015 during the juried plein air event in September 2015. Prints and notecards are available.